Everything in existence is fundamentally comprised of a series of vibrating particles. All of our senses are vibratory receptors and translate these signals into forms our brain can relate to through Touch, Taste, Smell, Sight, and Sound. The power of sound to influence our thoughts and emotions has been evident since primal man first learned to replicate the rhythms of nature by beating sticks together or shaking the seeds of a dried gourd. 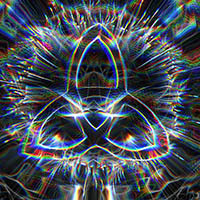 As our understanding of these auditory vibrations grew they became integral to our journey toward the divine. The Benedictine monks at the beginning of the 11 th century used their Gregorian chants to incite a peaceful and prayerful connection to a higher level of consciousness. The chants and their unique tones were believed to impart spiritual blessings when sung in harmony. The original scale that we now know as Do-Re- Mi-Fa- Sol-La- Ti originally had only 6 tones and was derived from a Medieval hymn to John the Baptist. The first six lines of the hymn “Ut Queant Laxis” begin on the successive ascending notes of the scale and their names are taken from the first syllable of each line. The original scale replaces our current “Do” with the syllable “Ut” and was developed by a monk by the name of Guido d’Arezzo to help the choir to learn the songs and chants more easily. This “Solfeggio” scale held within it a pure mathematical resonance which allowed mankind to be more “god-kind”. 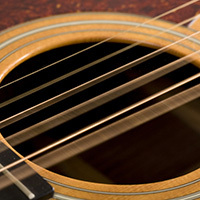 Subsequent changes to the method of tuning and changes in interval distance over the centuries that give us our current 12 note “western” scale caused these Sacred tones to be misunderstood and lost for centuries. Even to the point of suppressing the natural emotion in the music, replacing it with a fear based system that lacks consciousness and can manifest into physical symptoms of dis-ease. 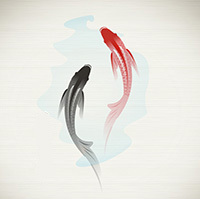 Feng Shui is one of the Five Arts of Chinese Metaphysics. It's a philosophical system of harmonizing people with their environment. It creates an ongoing spiritual discussion between architecture and inhabitants. Focused on the cultivation and binding of Qi (the invisible force that binds the universe, earth, and humanity), Feng Shui is an architectural art form designed at most efficient capture and flow of Qi within a home. Qi is a movable positive or negative life force. In Feng Shui, just like in Chinese Martial Arts, it refers to energy. Qi in Feng Shui stems from the orientation of a structure, its age, and its interaction with the surrounding environment. There are different kinds of occult symbols that exist and at present, you will find that an increasing number of people are now using these symbols by wearing them or by displaying them because these signs are considered to be trendy. This is especially popular among the youngsters. On the other hand, it is important that you know what the symbol mean before you decide to use it by displaying it or by wearing it. You need to know that the occult symbols have double meanings and sometimes multiple meanings. Take the pentagram as an example. People have been using this sign to send out occult power in various kinds of rituals for hundreds of years. A person who does not know about this will think that is just a star. Let’s look at another example. When an image of a fish is seen, many people think that is simply one of the signs of the Zodiac but to the followers of Christianity, a fish means following Jesus Christ and spreading His message of love. On the other hand, there are some other people who make use of this image to represent the evil. The Tarot holds a particular allure for many, and is one of the most popular practices utilized in determining events pertaining to an individuals past, present and future. Originally, popular theory credited the Romany people with the creation of Tarot cards and their introduction into society, preceding regular playing cards. However, further studies have proven that Tarot cards were present in Italy and ancient Egypt centuries before being utilized by the Romany to tell fortunes. 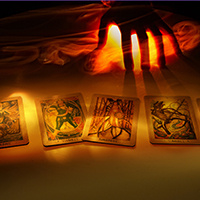 The exact origin of the Tarot is unknown, though several theories persist to this day. A French theologian by the name of Antoine Court de Gébelin believes that the Tarot were originally part of the Book of Thoth, an ancient Egyptian book of divine wisdom. Another theorist, Eliphas Lévi, believes that the Tarot is related to the paths to stages of consciousness described in the Qabalah. Additional studies have also found that the Tarot correlates with the Hebrew Alphabet. Within the Wiccan Faith, there is a wide range of sects from large to small. 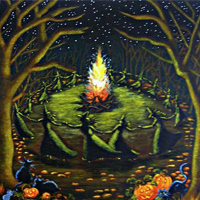 The larger sects, including Gardnerian Wicca, Alexandrian Wicca, Algard Tradition, Dianic Wicca, Northern Tradition, Albion Tradition, Ladywood Tradition, Aridian and Arician Traditions, Black Forest Clan, Blue Star Wicca, Covenant of the Goddess to name but a few, generally have a distinct manner in which they structure their Coven. This may be written or unwritten. Nonetheless, the different sects across the globe that participate in these sects usually adhere to the system in place.Then there are lesser known Covens, such as ours, which structure the Coven in a pragmatic and logical way to fit our particular needs. It is not necessary to have a fixed structure within your Coven, but it is often helpful in order to allow the less experienced practitioners learn from the more experienced.